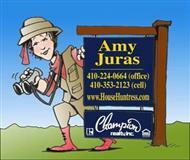 Bay Ridge-Considered to be one of Annapolis' premier communities this place has it all! Overlooking the expansive Chesapeake Bay, you see the whole view of the Bay Bridge, boats, ships, birds and sunsets galore. Amenities include miles of sandy beaches, pool, marina, club house, tot lot, basketball courts and so much more. Most homes are custom built and prices start at around $600k and have gone for over 6 million. And to add insult to injury, bring your hammer to the $600k home because I know it is going to need a bit of work. But in the end, Bay Ridge owners rarely leave the community. I have known a few to move within the community several times. The New England feel of the architecture and the progressive attitude of the people make this community one to look at if you are able to afford its luxuries.